Kate spent thirty years teaching adults, teenagers and children of all abilities and diversities in the UK, Africa and the USA. She was a qualified reflexology, massage and reiki body therapist before retraining as a psychosynthesis therapeutic counsellor (2007-10) and an advanced EFT practitioner (2012-14). Kate learned family constellations as part of her training, did training with Bert Hellinger in the USA in 2008. This was followed by two years in Systemic Constellations training in Oxford. Working as a therapeutic counsellor and family / systemic constellations facilitator, she became interested in exploring the impact of early trauma / survival on our identity through Prof Franz Ruppert's Intention method of constellations. 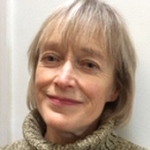 She has studied and apprenticed in Vivian Broughton's Advanced London training, contributed to the Munich conference (2016) on the Trauma of Medical Intervention and contributed a chapter to Franz Ruppert's latest book on the subject. Over the last ten years Kate has facilitated Family, Systemic and Identity Constellations in Stroud, Cheltenham, Birmingham and London, and leading workshops looking at family, health, money, birth and identity attachment issues. Identity Constellations (IoPT) answers questions that often come to us during challenging, stressful times…such as… Who am I and what do I want at this stage in my life? How much am I true to myself or how much do I fit in with how others see me? What gets in the way of living the life I want? Why do I have this problem with my relationship / my work / my family? What is underlying this health condition? Identity Constellations have been developed by Prof Franz Ruppert (Munich) as a way of understanding how pre-birth / infant attachment trauma and survival patterning unconsciously affects our adult lives and how you can resolve this by meeting and integrating the parts of yourself bringing balance, health and well-being – a psycho-synthesis. This helps free you to live your truth and be in your own skin. Whereas in family constellations you are working with your external world, in IoPT you become more aware of your internal world and what you project on to those outside you. Kate also runs Mandala Constellation workshops with her own 5 step process developed over the last 8 years. Collage Mandala Making brings healing to something difficult in your life. It may also be used to mark your personal journey through the year. New Year, Spring, Midsummer and as the year closes. The five step mandala constellation process includes Meditation – Intention - Creation – Interaction – Integration. With many years accumulated experience, Kate has worked in a woman's mental health project, a complementary therapy clinic, and as a counsellor in a school and NHS medical clinic. She facilitates monthly workshops at the Cornerstone and sees clients 1:1 in private practice. CONTACT Kate for more information or to book a session.